Rubbermaid Brilliance food storage containers are crystal clear and completely air-tight, meaning your food will taste exactly the same as when you boxed it up. Rubbermaid believes you should take pride in your leftovers, after all, they were once a meal you made with love. 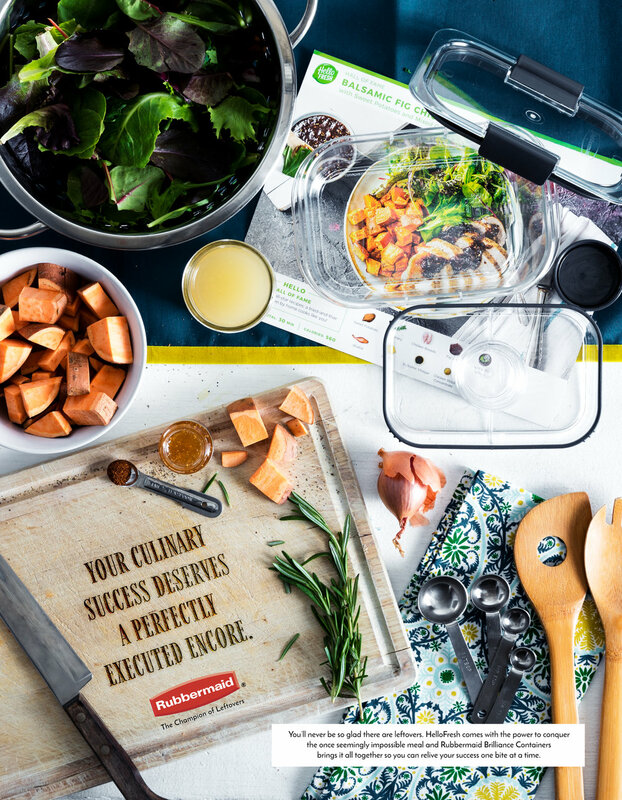 Rubbermaid will partner with HelloFresh to offer the "Brilliance Plan," featuring recipes that yield enough food for one person, two times. Brilliance containers would be made into grocery carts, allowing shoppers to imagine their culinary masterpiece from the very beginning. Sponsored pins would be promoted during recipe searches.